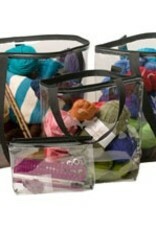 Small - 9.5" x 7.75" x 4.75" Keep your knitting projects in these clear zippered bags. 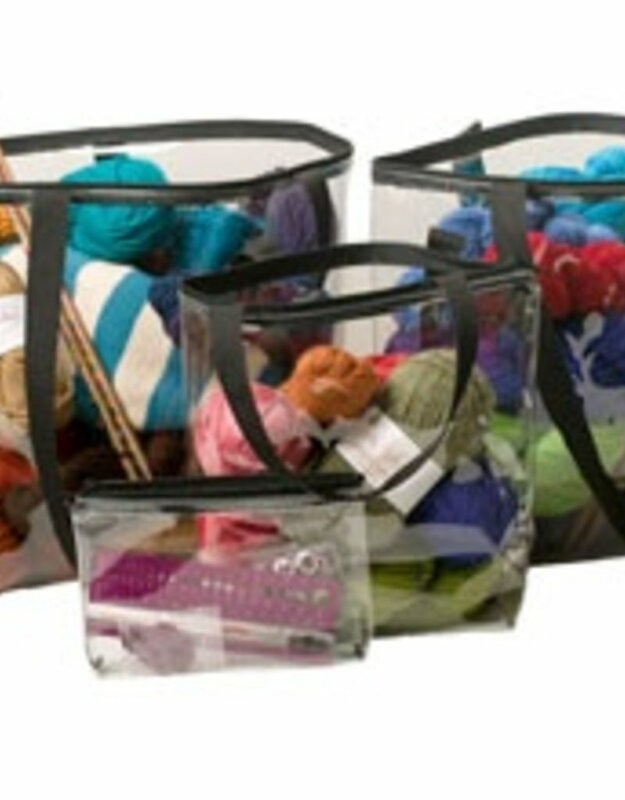 Choose from 4 sizes, which will fit an accessory up to an afghan. 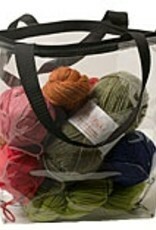 The larger 3 sizes have web straps, so you can comfortably hold your project bag, or sling it over your shoulder. 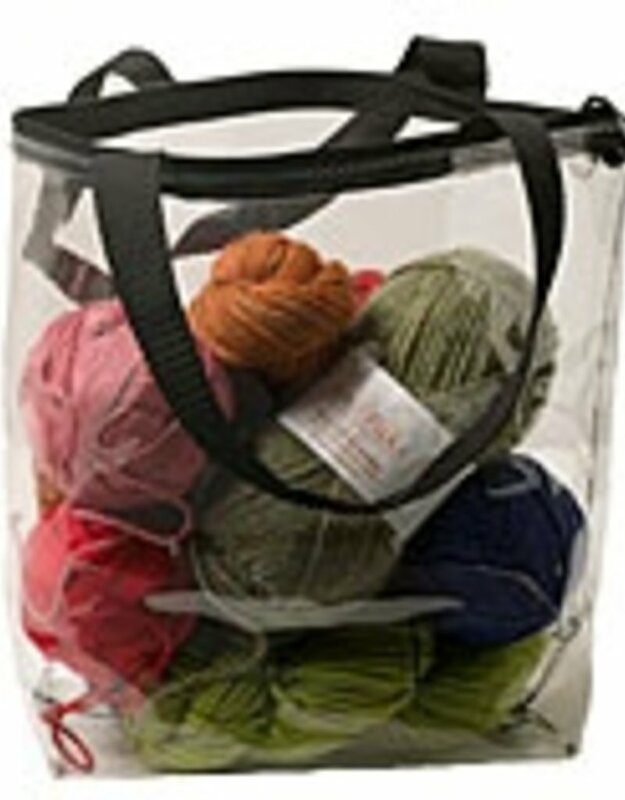 The smallest bag is for your notions, and the clear vinyl makes it easy to check that you have your yarn needle or stitch markers with you.